buildings in the past 20 years but has issued a separate proximity card allowing people to get into the buildings. a $25 charge for students to replace a new card if it’s lost or stolen. 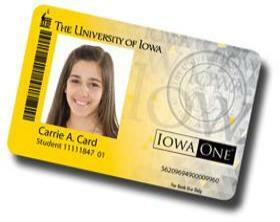 Faculty and staff aren’t charged for a lost or stolen card. annually for the past three years installing the upgraded electronic access system on campus doors, Rosenthal said. system also can alert UI staff to a door that isn’t locked when it should be, or a door that is propped open, Rosenthal said. residence life at Cornell College. during academic breaks or when a person leaves the university. things as when a dining hall is most busy. added to the ID cards, according to Emily Muhlbach, assistant director for communications and marketing.